← We did it! A new school on the other side of the planet – ready for business! 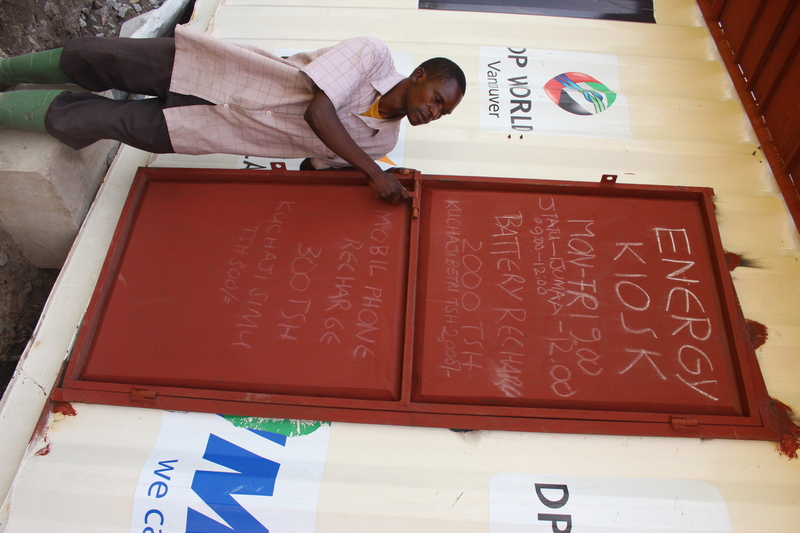 This solar kiosk micro-business is the first of its kind in Tanzania! The concept is the design of students at London’s Imperial College, UK. This off-grid mini solar power station not only generates power and an income stream to help our school, but also provides green power through a battery exchange system for the entire community. It is housed in our school-in-a-box cargo container with teachers’ quarters above. This solar project was made possible by a generous donation from Solarville of Canada, a family run solar business. 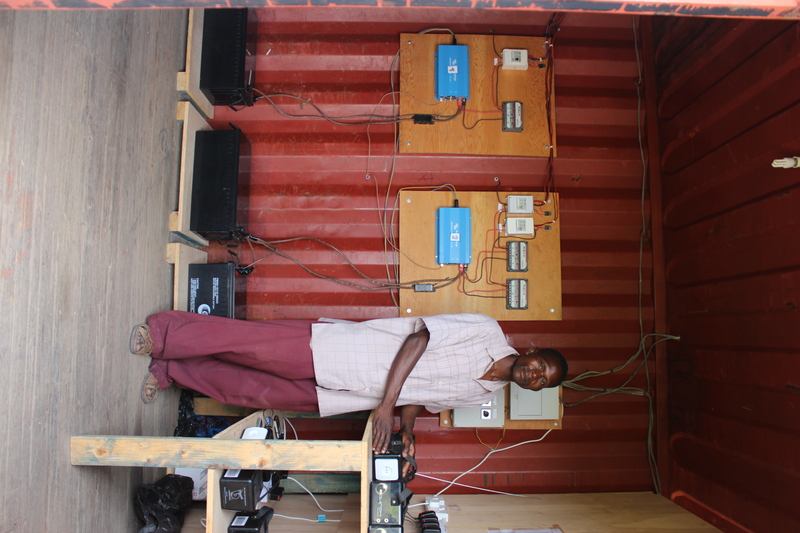 Zacharia oversees the recharging of our rental battery units which come with LED lights so villagers can illuminate their homes in the evenings for the first time. Once the batteries are depleted, customers walk over to Zacharia at the Kiosk, pay a nominal fee and exchange their flat battery for a fully charged one. Cell phones can also be recharged here for 300 Tanzanian shillings. A huge convenience for locals that previously had a 45 minute trek to the next closest place to recharge – carefully timing it between power outages that occur daily and weekly. The sun comes out every day, so we love reliable, non polluting solar! !